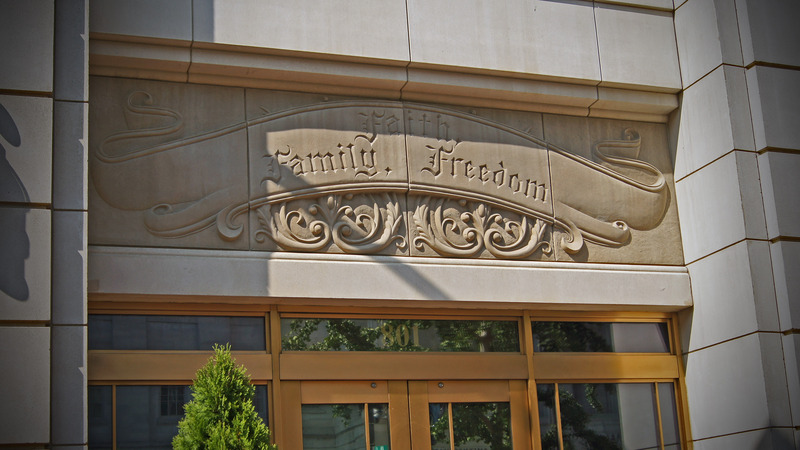 The president of the Family Research Council outlined at a press conference yesterday that he opposes charging Floyd Corkins, the homosexual advocate who shot the building operations manager in the lobbying group’s headquarters on Wednesday, with a hate crime. Tony Perkins, whose organization has consistently spoken out against hate crime legislation, reiterated that he does not believe that certain acts of violence should be elevated above others. “I’m not a big supporter of the hate crimes statute. What I believe is that if you commit an act of violence, it is a crime. I don’t care why you do it, you did it,” he told reporters. Corkins, 28, of Herndon, Virginia had reportedly entered the lobby of the Family Research Council Wednesday morning with a 9 mm Sig Sauer pistol that he had purchased recently from a local gun shop. He was also carrying a backpack that contained two loaded magazines of bullets with fifteen rounds in each, and more than a dozen Chick-fil-A sandwiches, which some believe he was going to use to mark each attack. After yelling at Leo Johnson, the building operations manager who doubles as a security guard, that he “did not like [the group’s] policies, Corkins opened fire, shooting Johnson in the arm. Johnson and others then tackled Corkins and held him until police arrived, stopping him from doing further damage. Both the Washington, D.C. Police Department and the FBI have been investigating the matter, and have been contemplating whether to charge Corkins with a hate crime. Many note, however, that Family Research Council has long opposed hate crime legislation, and even outlines its stance on its website. Michael Marcavage, director of the Philadelphia-based evangelistic organization Repent America, who was charged with a hate crime under Pennsylvania state law in 2004, says that he agrees with Perkins and Sprigg. Marcavage and ten other Christians, who became known as “The Philadelphia Eleven,” were arrested while witnessing at a homosexual event known as “OutFest.” Marcavage was taken into custody while walking down the street singing the song “Blessed Be the Name of the Lord,” while others witnessed, held signs or distributed tracts. Two grandmothers and a teenage minor were among those arrested and charged with a hate crime for their outreach. All eleven faced up to 47 years in prison and a $90,000 fine, but were exonerated months later after the charges were found to be without merit. Those who agree believe that hate crimes laws give preferential treatment to homosexuals and other groups, while leaving children, the disabled and the elderly as being inferior or second-class citizens under the law. However, many others opine that Corkins should indeed be charged with a federal hate crime if his motivations are found to be religiously or politically-based. While Perkins does not want Corkins to be charged with a hate crime, he did state that he agrees with the FBI in classifying Wednesday’s incident as an act of domestic terrorism. “When you talk about acts of domestic terrorism, terrorism is to intimidate and marginalize and silence a portion of the population. I think this could very well fit in that category,” he stated at yesterday’s press conference. 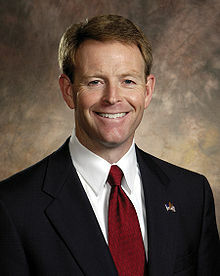 He noted that groups such as the Southern Poverty Law Center and others that have labeled Family Research Council a “hate group” have inspired such violence. Corkins currently faces federal charges of carrying a firearm across state lines and assault with intent to kill. The maximum punishment carries a sentence of 40 years in prison.